I was browsing the makeup aisles of Rite-Aid, when I came across the nail polish. 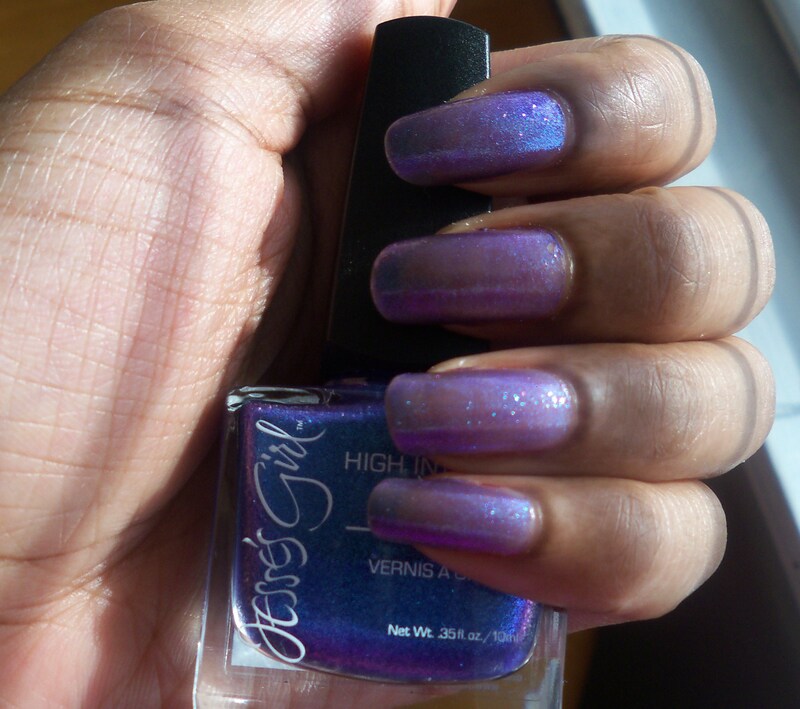 I had never heard of Jesse’s Girl Cosmetics, and I was intrigued by the color (I’m intrigued byall sparkly nail polishes). At @ 2.99, I decided to give it a try. I could immediately tell after the first coat, that this would be a long-lasting color. The polish dried quickly- I waited four minutes between each coat, but I could have applied after two minutes. My nails were completely dry after 30 minutes. When I say completely, I mean that if I were to touch the tip of my fingernail against my nail, there would be no indentation left. It left a nice, glossy, shiny finish, and I felt no need to apply a topcoat, though I eventually did for “insurance”. As with most sparkly polishes I have used, I needed three coats instead of two to get the desired look, but that was fine by me. All in all, Jesse’s Girl Nailed It with this one. Will definitely buy again.